Whooweeee- it sure can get cold on the South Carolina coast, the first week of March!! 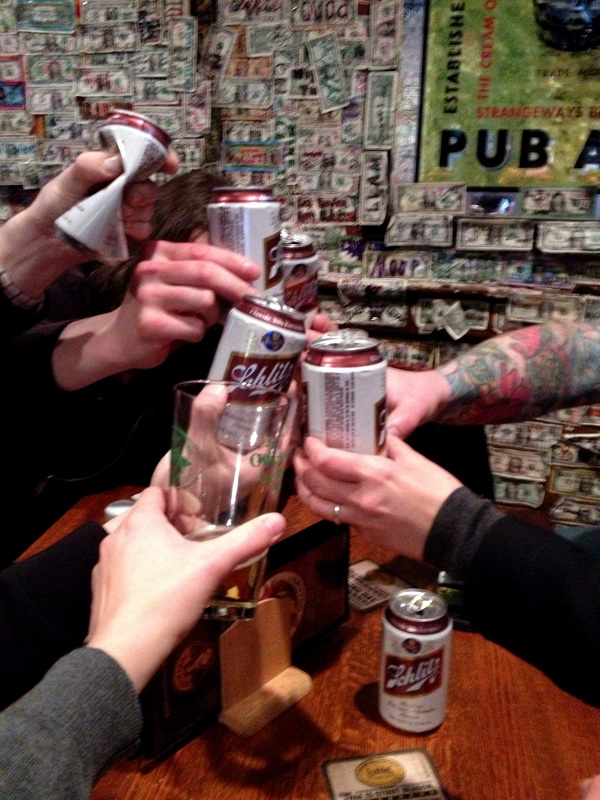 However as I experienced, when the going gets tough in Charleston, the tough drink cans of Schlitz in a cozy dive bar. One with hundreds of dollar bills adhered to its walls, failing to buffer all the uproar and laughter within. Marty and I accompanied a gang (a motley bunch?) 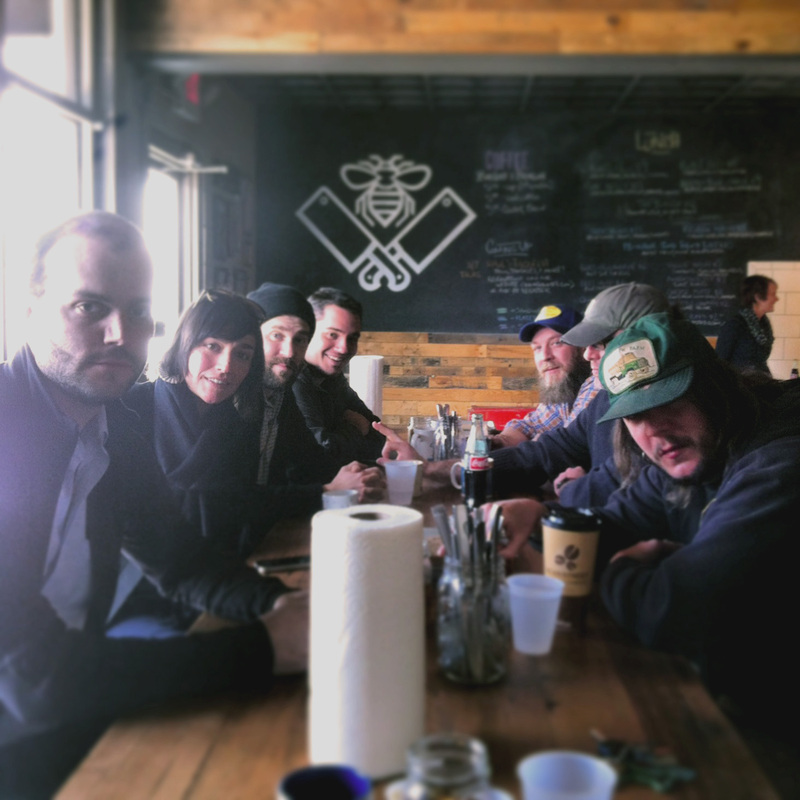 of Richmond chefs, cooks and for lack of a more specific term, ‘food people’ down to Charleston, SC this past weekend for a Lambs and Clams after party. Lambs and Clams, if you have yet to experience, is the wonder trio of Craig Rogers- Shepherd and Travis and Ryan Croxton- Oystermen. 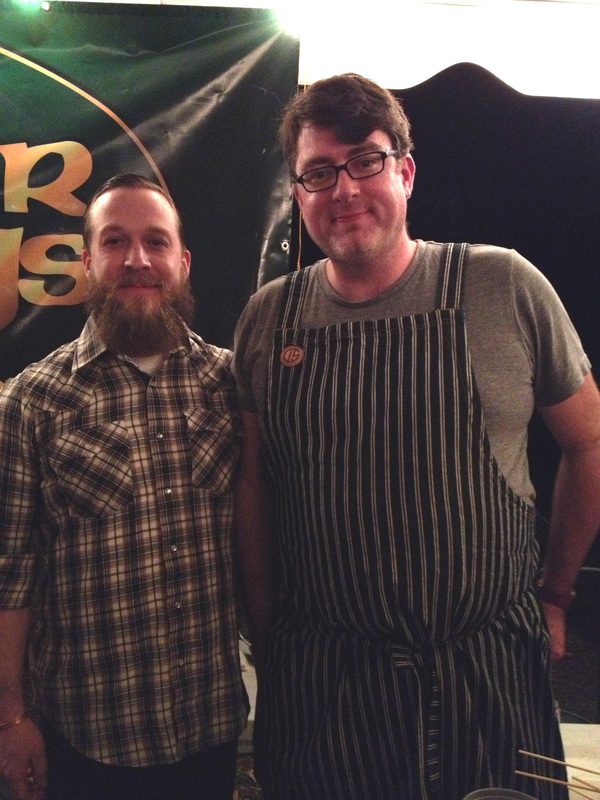 Travis and Ryan Croxton of Rappahannock River Oysters. They throw lots of events, or as I see them, somewhat poorly disguised wild and wonderful parties for passionate eaters and do-ers. At this year’s Charleston Wine and Food festival, they again did just that. I’m happy to know them and count Craig Rogers as one of my favorite humans. When the invitation to join in on some festival after party fun presented itself, I wholeheartedly accepted. 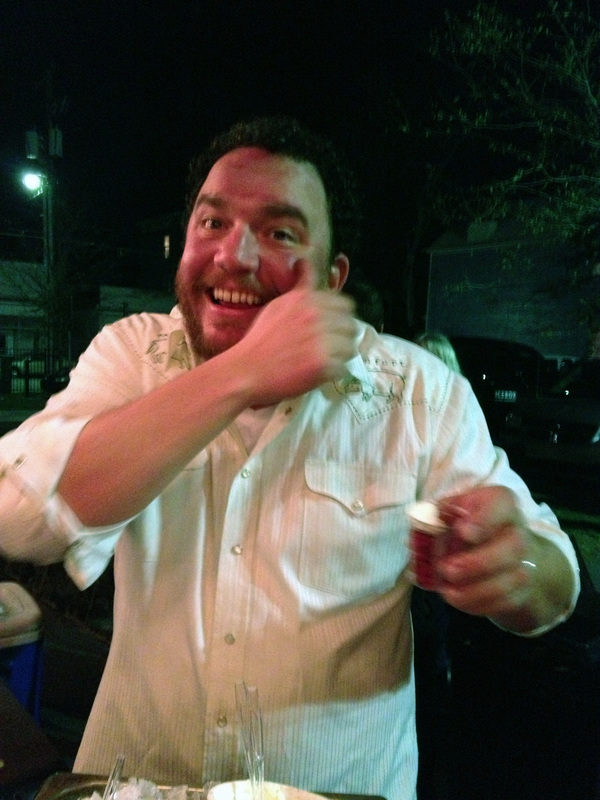 When I learned he invited a slew of RVA’s own to provide food and drink- I considered hiring chaperones. Craig is a shepherd of more than just sheep. His flock includes all manner of talented craftspeople, be they butcher, baker, cocktail or music maker. He has a knack at assembling wonderful groups of people to revel in each others company and talents, to spend an evening creating and enjoying. He threw a fabulous party and our group of Richmond chefs made lots of new friends. The folks at The Grocery hosted gracefully and chilly as it was, our merry bellies kept us warm. Here are some pics of the frivolity. 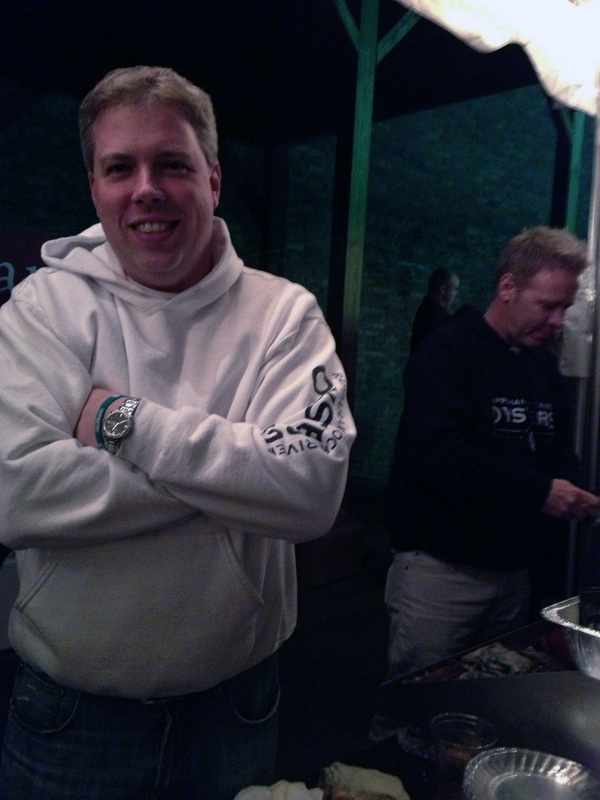 I was unable to get a picture of Craig, he was in high demand by both guests and the lamb pit. 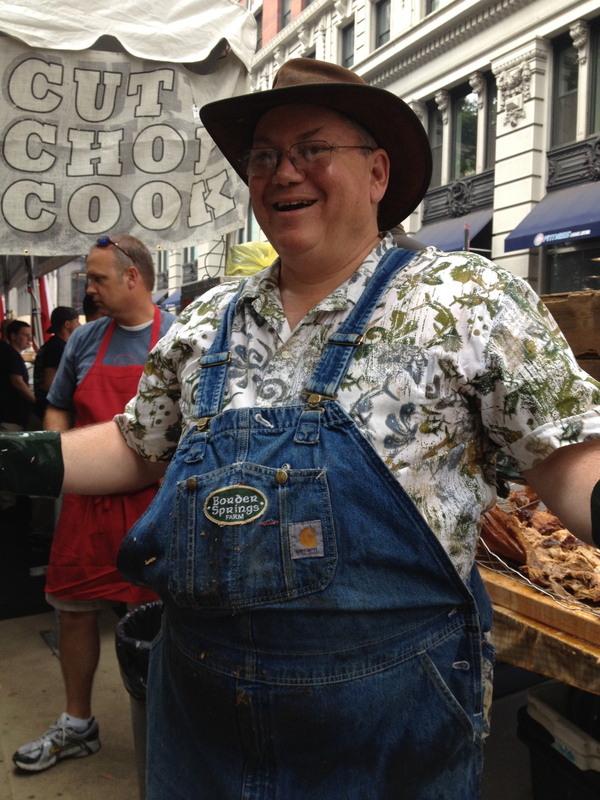 This is one of him at last summer’s Big Apple BBQ sporting an apron of his own design and a smile as big as his heart. 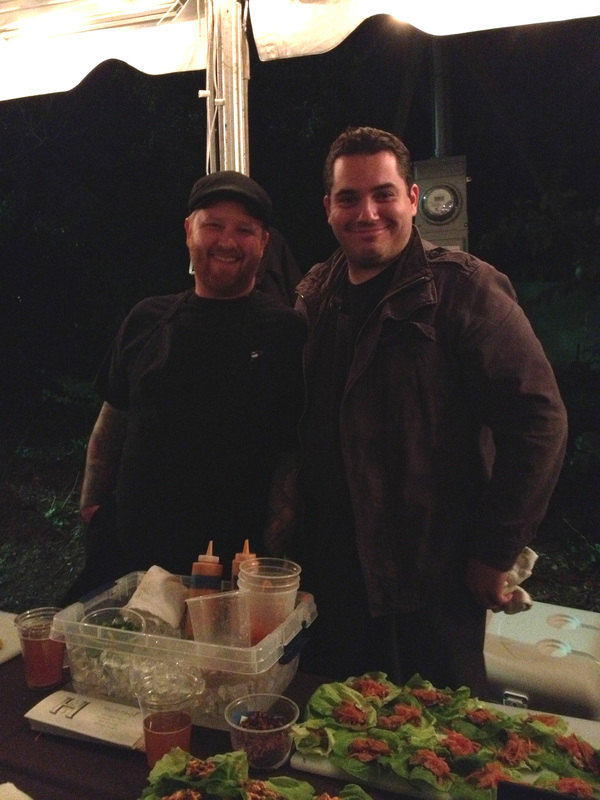 Thanks to Craig, Travis, Ryan and the Grocery and to all who worked so hard to put on such a great event. 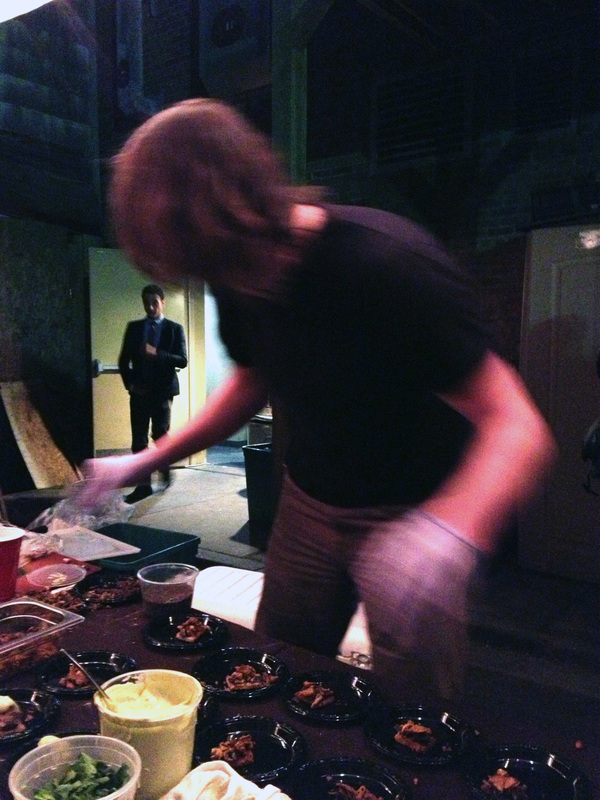 Also hearty thanks to all of the RVA chefs, cooks and creators who continue to make our city more unique and delicious everyday.